Health insurance policies continue to become more complicated every year as carriers seek new ways to provide quality coverage at affordable prices. Many of today's health insurance products contain provisions and characteristics that were not seen on earlier policy versions. Trying to decipher the definitions of the contract language, and memorize the features and limitations of your policy, can be daunting at best. Understanding the basics of health insurance policy cost-containment provisions is essential to purchasing the right product to suit your needs and financial capabilities. Nearly every health insurance policy requires you to present a co-pay when you visit you doctor. The co-pay is typically between $20-$50 and represents your contribution toward the total cost of your office visit. All remaining balances for treatment received during that office visit are covered by the insurance company. Deductibles make a larger portion of medical treatment costs the responsibility of the patient. At the time services are rendered in a hospital or other medical facility, you are obligated to pay a specific dollar amount toward your invoices before the insurance carrier will pay anything. 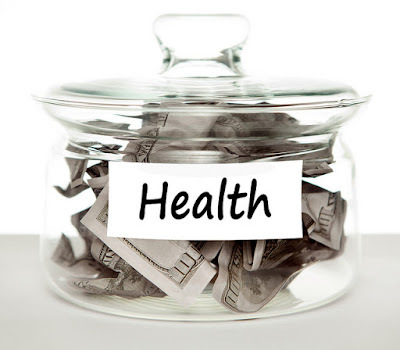 Typical deductible amounts range from $500-$5,000, and higher deductibles result in lower monthly insurance premiums. After your deductible has been paid, the remaining balance for your medical treatment is divided between you and the insurance company. Invoices are split by percentages, with the larger portion usually being the responsibility of the insurance carrier. Typical co-insurance percentage splits are 90/10, 80/20, and 70/30, but may also be as low as 50/50. Some medical procedures have price tags in the hundreds of thousands, and sharing a percentage of that cost, however small, could threaten the financial stability of a large portion of insurance company customers. For this reason, health insurance policies have maximum out-of-pocket figures built into the contracts to act as a stop-loss. Customers whose expenditures meet or exceed the maximum in a given policy year will no longer be obligated to share in the cost of their treatment for the remainder of that year, as any additional services will be paid entirely by the insurance carrier. The implementation and installation of deductibles, co-insurance, and maximum out-of-pocket figures illustrates that the cost of health care services is rising faster than the average person's income. Small co-pays and nonexistent deductibles become more expensive benefits to maintain because the portion paid by the insurance company continues to rise exponentially. The only way to reduce monthly medical insurance premiums is to increase the out-of-pocket expenses required of the customers when treatment is received.